It’s very important to have snacks that are easy to make which can keep us going throughout the day. This will prevent us reaching for unhealthy things in between our main meals. It is easy to buy dips and sauces that can be used as appetizers, but it’s also easy (and more nutritious) to make them yourself. 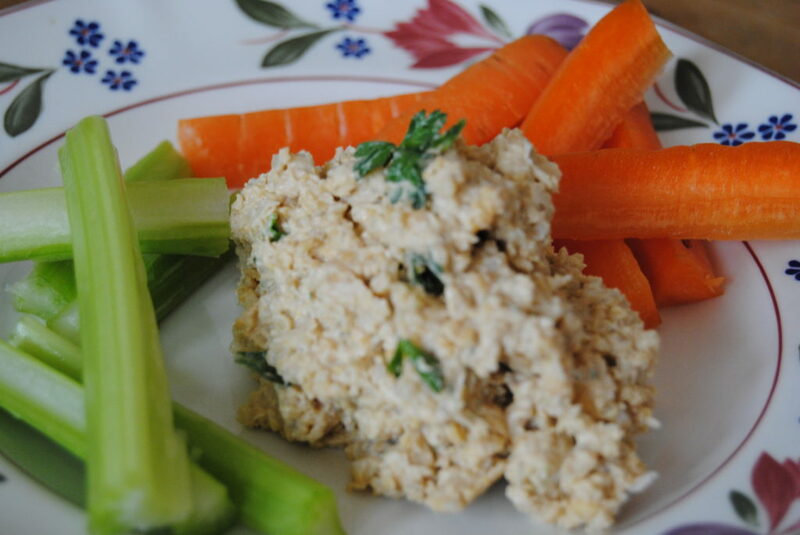 I love hummus and the conventional brands often have sugar and artificial ingredients added to them. I found this hummus recipe written out in my recipe box but I can’t remember where it’s from. 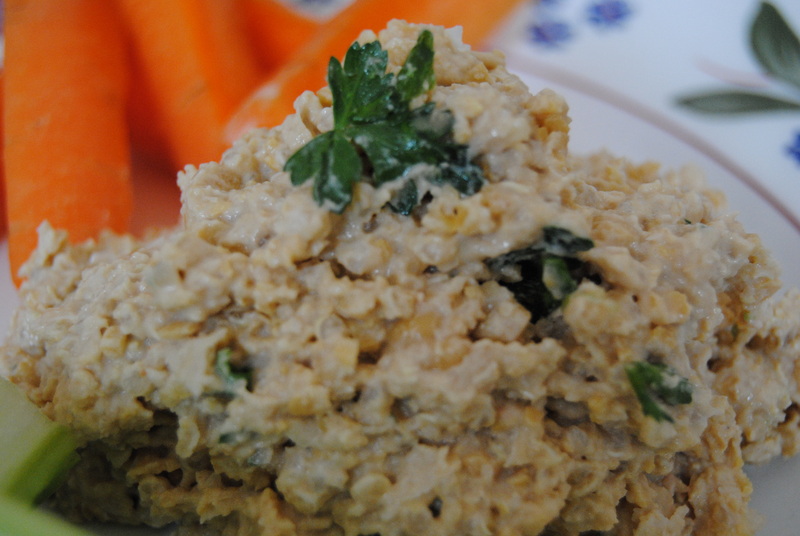 The difference from a regular hummus recipe is the addition of cayenne, cumin and quinoa. When cooking the quinoa, remember to rinse the quinoa well and even soak in water if you have time before. This will increase the aborption rates in the body. Reduce to a simmer, cover and cook 10 minutes. Turn the heat off and leave the covered saucepan on the burner for an additional 5 minutes. Remove the lid, fluff with a fork and set aside to cool. Combine the chickpeas, ½ cup cooked quinoa, ¼ cup water, lemon juice, tahini, garlic, cumin, salt and cayenne pepper in a food processor or blender. Puree until smooth. 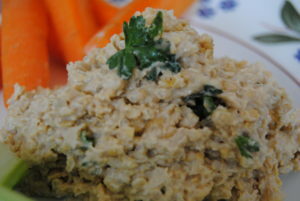 Place in a serving bowl and garnish with parsley.